According to a recent report by the Windows Central, the Microsoft developers are working on Chromium project in the background and planning to adieu the Edge browser which is a default browser of the Windows OS. The switching to the Chromium source code shows the fact that Microsoft has an interest in the rendering engine of Chrome on Windows 10 on ARM systems. Because it forms the basis on which various other apps are based. And if you want more native applications on the ARM Windows, you would also need Chrome on the platform. The Microsoft code name for this browser transformation project is Anaheim. The final name of this browser is still lurked, however, as per the sources the browser based on the Chromium source code, that for sure. Also, today the Verge reported that Microsoft will announce its own development based on the Chromium browser program this week. This means that Microsoft will abandon its own EdgeHTML rendering engine. EdgeHTML is based on the original IE browser’s Trident kernel and built into the Windows 10 version, and its earliest appearance time was April 2015. Some of the features of the Microsoft Edge browser include: support for built-in Cortana (Microsoft Xiaona) voice features; built-in reader, notes and sharing features; design focus on practical and minimalism. 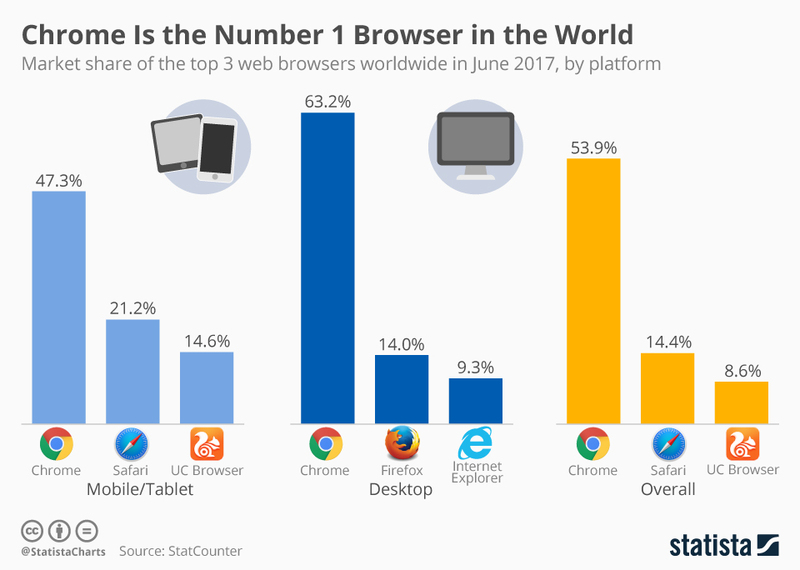 Since its inception, Microsoft Edge has not grown significantly, and rival Chrome has become the most popular browser. The Verge said developers have always favored Chromium to optimize their websites. The decision would also make sense, because on the one hand Chrome is not without reason the favorite of many users and also Microsoft’s browser here could win more users for themselves. In addition, developers would need to invest less effort if most large browsers are based on the same engine. According to reports, Anaheim is to become tangible during the first half of 2019, at least for registered testers. And after then only the one can comment will it be able to lure some of the Chrome users or not.